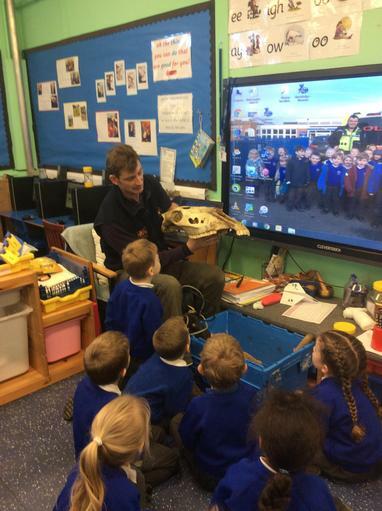 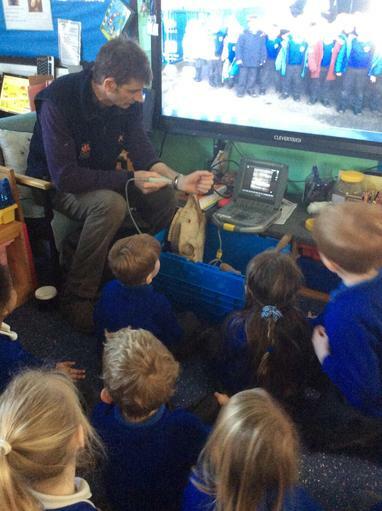 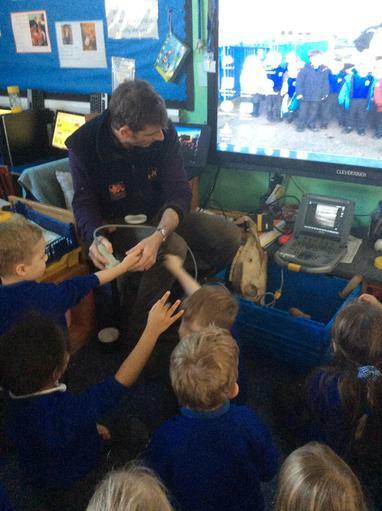 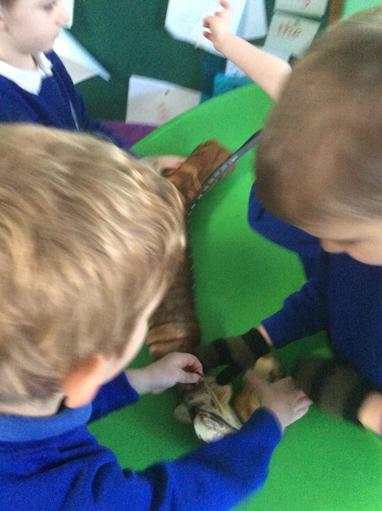 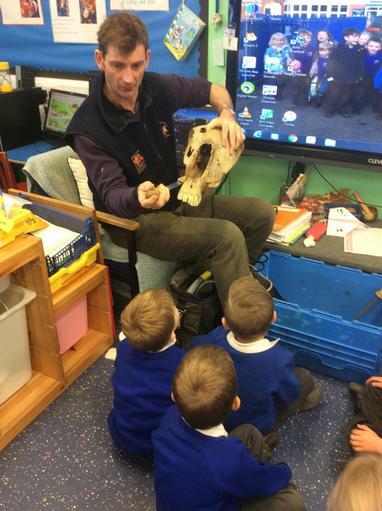 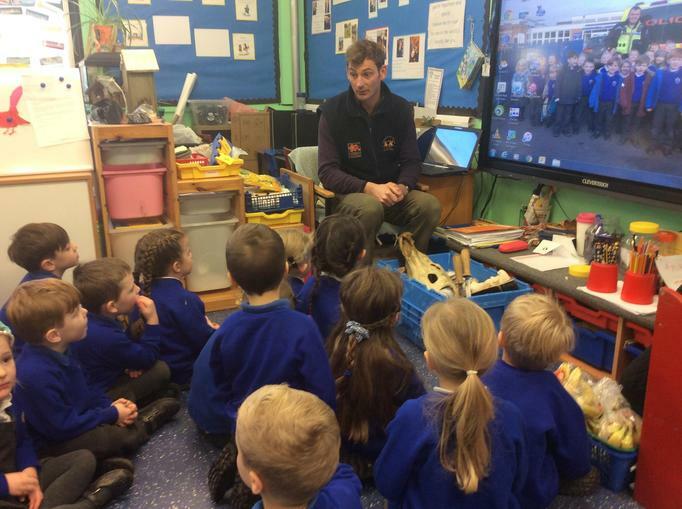 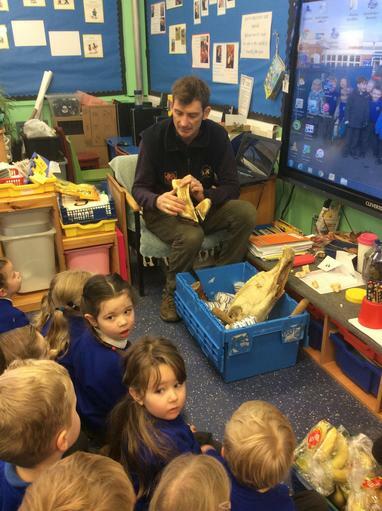 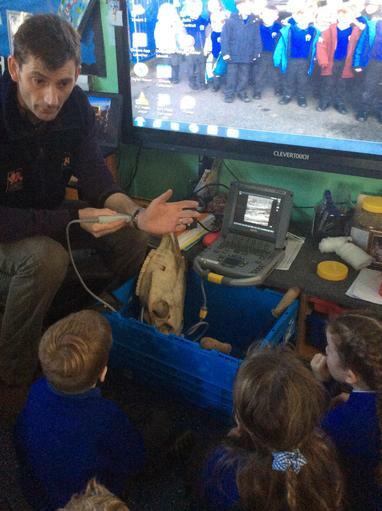 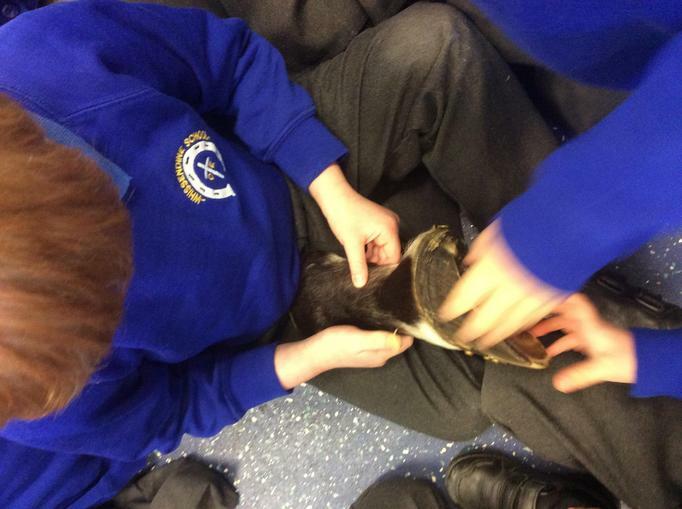 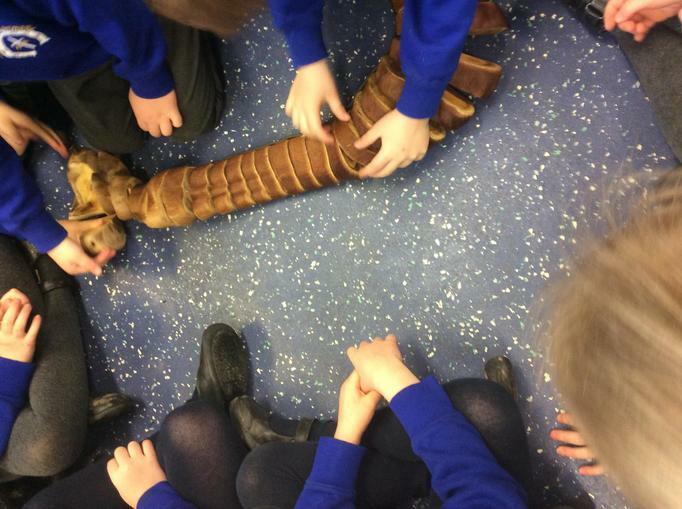 Mr Knott, the Horse Vet came to visit us today. 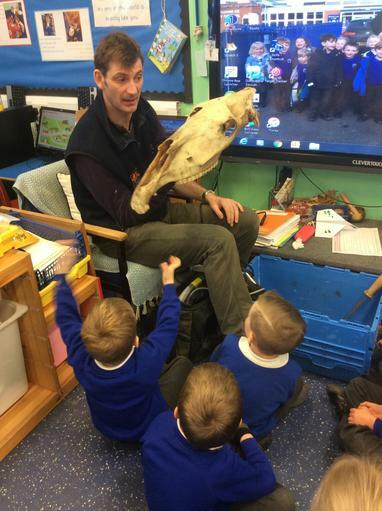 Another super hero, he told us how he helps horses get better if they are poorly. 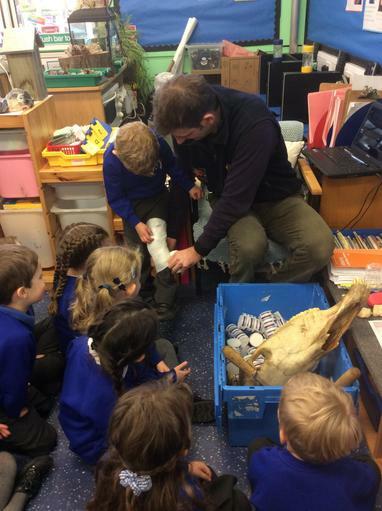 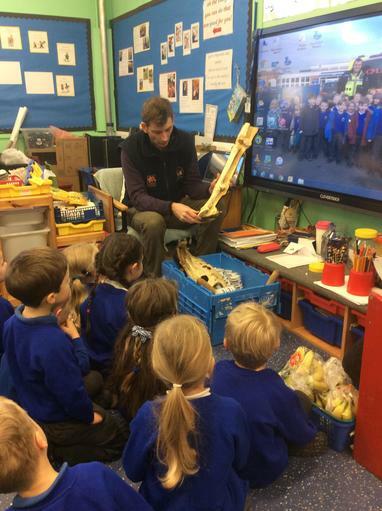 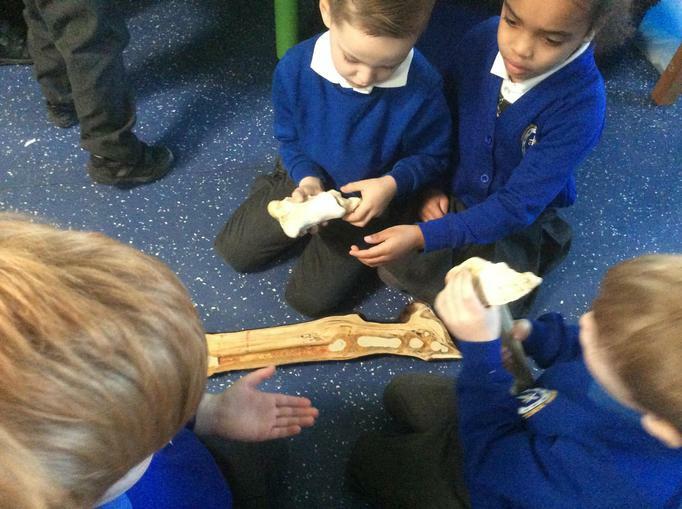 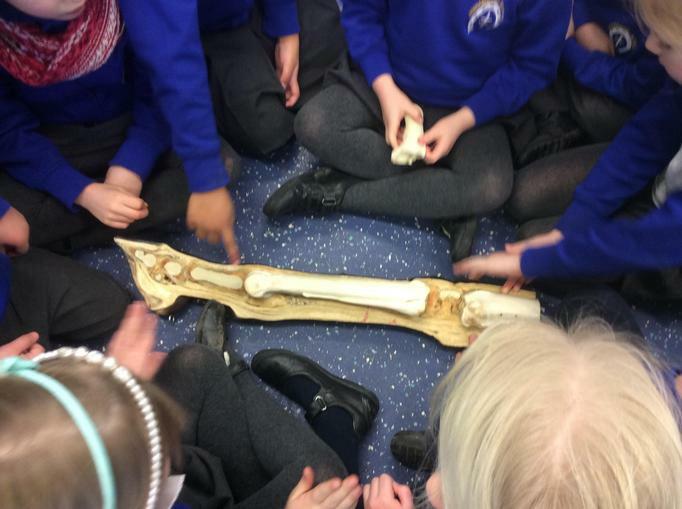 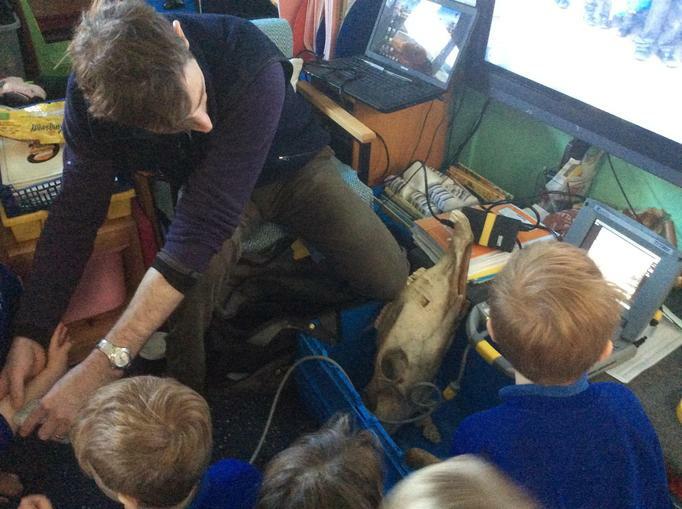 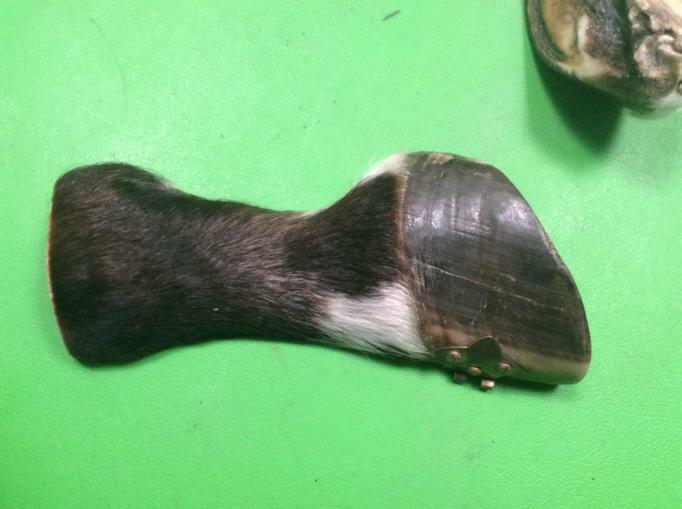 We were able to examine different models of a horses leg (one cut into segments) and hoof and saw how the ultrasound could show Mr Knott if tendons in a horses leg (or our human arms) were injured. 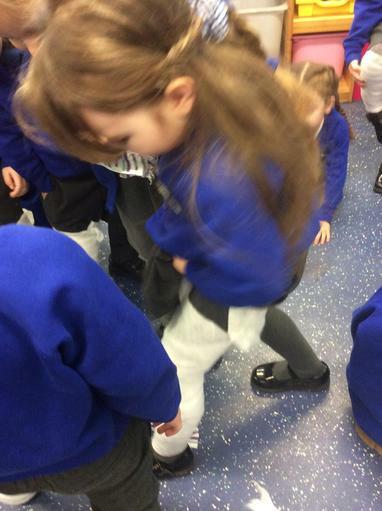 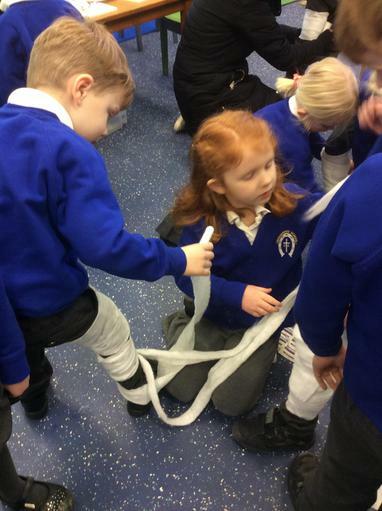 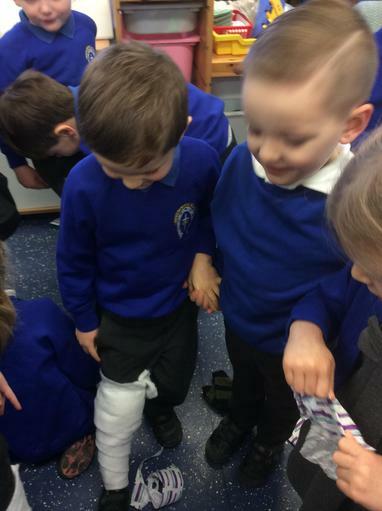 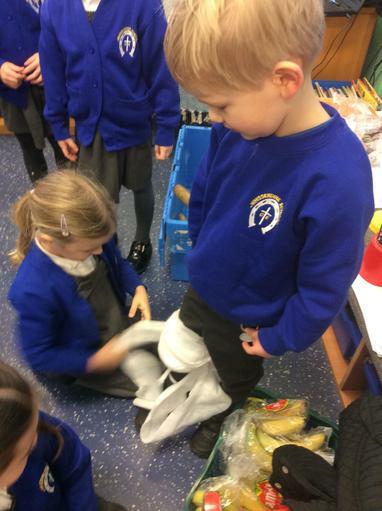 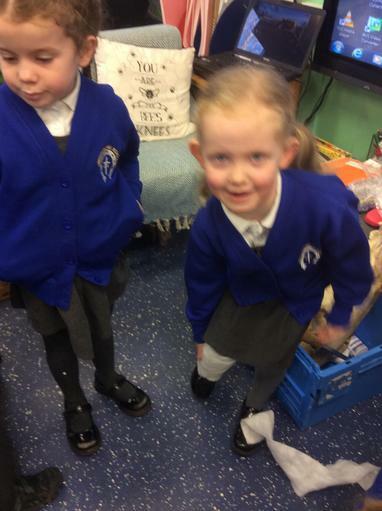 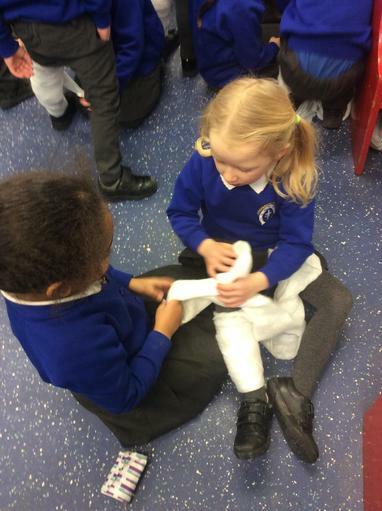 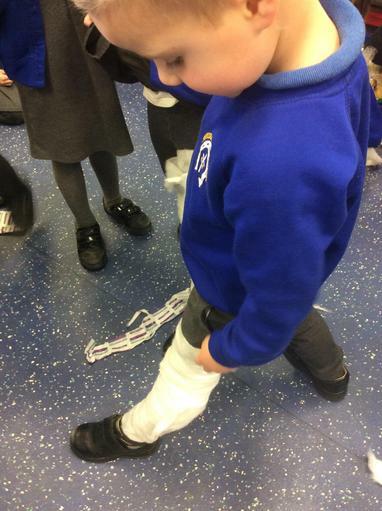 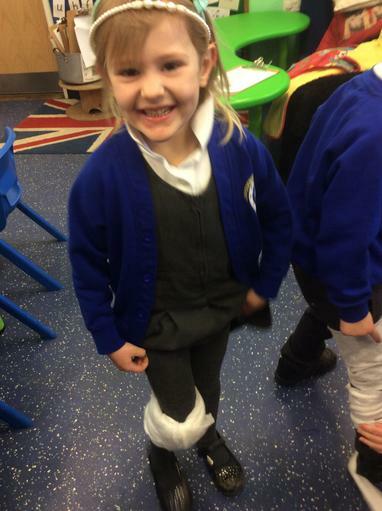 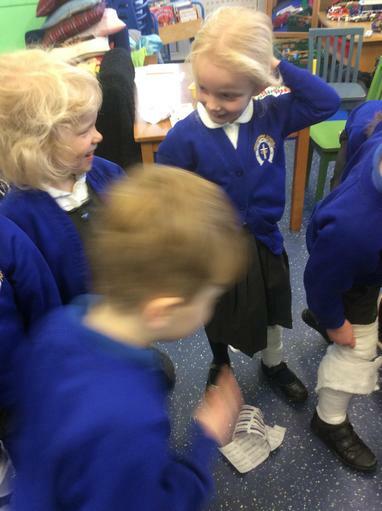 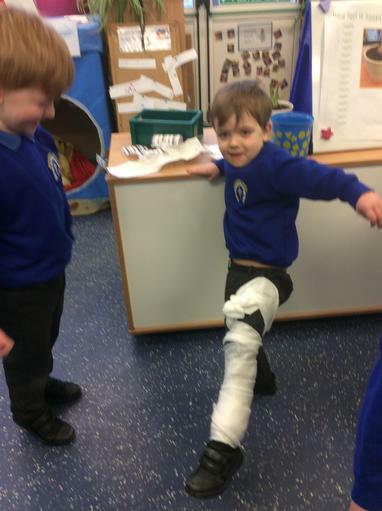 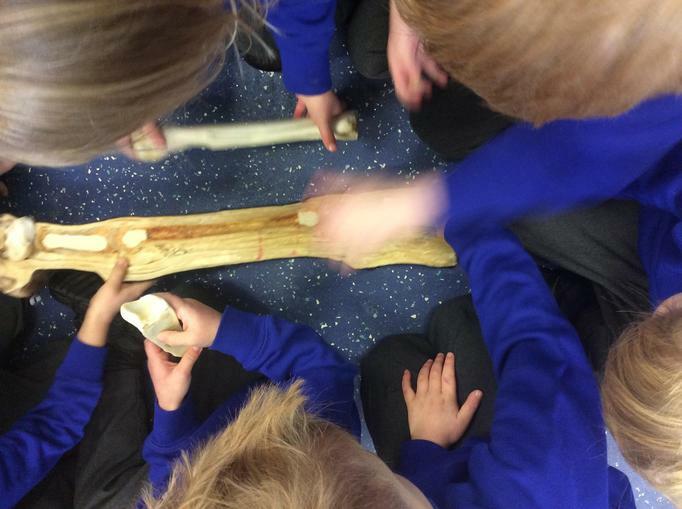 It was great fun to work in pairs to bandage our own legs - I think we may have a few doctors in the class! 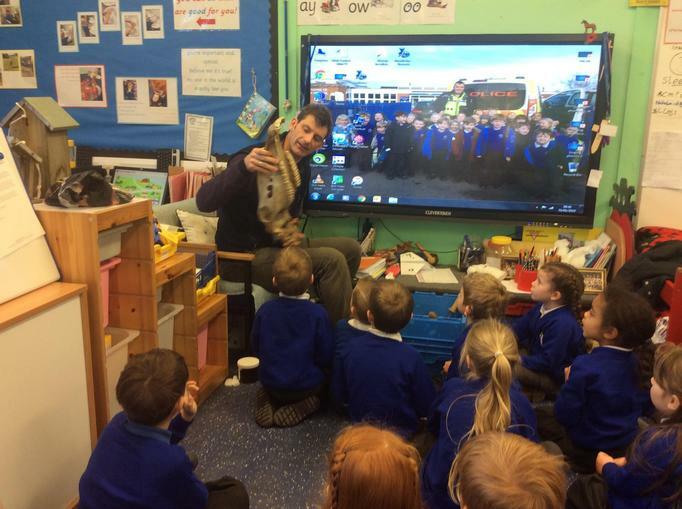 Thank you Mr Knott for giving up your precious time.